The Traverse City Wine and Art Festival is quickly approaching on June 21st at the Grand Traverse Village and Commons. The Northern Michigan festival will include great opportunities to come out and taste Northern Michigan wine, food and culture of the area. Musical acts include The Mainstays, The Crane Wives, Phil Denny, Mayer Hawthorne, and Traverse City’s own The Accidentals. 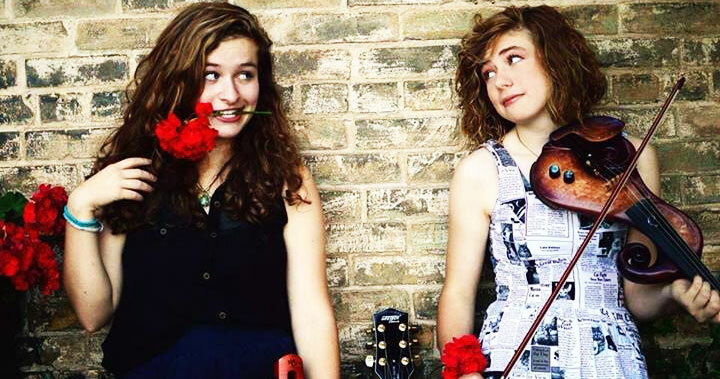 MyNorth’s Kelly Brown took a moment to catch up with multi-instrumentalist, Savannah Buist, from the folky duo at MyNorth’s ‘Red Hot Best’ Party, where she was attending solo while musical partner Katie Larson finishes up her last week of school. The pair were recently tipped as one of America’s best unsigned bands by prominent music writer Jim Linderman, and they took home first place for Best Local Band during the annual Red Hot Best voting—find out who else placed in the June 2014 issue of Traverse, Northern Michigan’s Magazine. There have been rumors going around that there is a new album in the works? Can you provide more details about that? We actually had the chance to record a 3 song EP with Marshall Crenshaw and Stewart Lerman but didn’t have any new material. So we sat down and wrote 14 new songs in 2 weeks. It’s all still in the works, and details of release dates are being worked out. 14 new songs in 2 weeks? Yeah it’s crazy. But our first album went that way too…We had to do a show with all original material so we just wrote out all new stuff. I guess it’s history repeating itself. What festivals will you be playing at this summer? You’re going to also be performing at the Traverse City Wine and Art festival this summer. You’re both so young, you can’t even drink yet. What’s it like to be going to all of these festivals and doing all this work while you’re still young? It was for Third Man Records, Jack White’s recording company. We got to record a vinyl and when we walked out he was just standing there. So we got to meet him. We’ve met a lot of new people. It’s just been a big adventure. What’s in the future for you? There has been news about a European Tour, maybe? We don’t know all the details yet but we’ll be doing a European Tour in the Summer of 2015. And Katie graduates from Interlochen Arts Academy this weekend. Education is really important to us. We hope to take a gap year and then get right back into it. Make sure to check them out at the Traverse City Wine and Art Festival on June 21st at 4:30 pm on the Art Garden Wine Bar Stage.